First, let me start by saying that I haven’t always been the most organized person, in fact it wasn’t until just a little over a year ago after getting married and moving in with my new husband did I realize how bad I really was. I was a constant ball of stress too. Then one day, while my mom was bitter-sweetly handing over all of my personal documents (love you mom), she introduced me to a system of organization that has forever changed my life! You’ll learn more about her filing system in Step 4, we have to build our way to it, but let’s begin here with Step 1! One of the things I found most frustrating after moving in with my new husband was trying to find the mail! It was everywhere…kitchen counter, coffee table, dressers or anywhere else it could find a place. 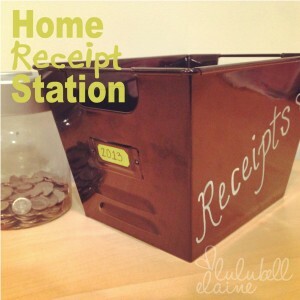 Next is our receipt station. Same idea, different room. One of my husband’s fun little habits is at the end of everyday, emptying his pockets and wallet. 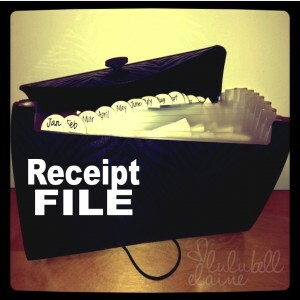 This meant receipts on the dresser, receipts on the nightstands, even receipts on the floor! (They’re really light so they tend to fly all over the place). So now, the receipts have a place too! But wait! I took this one step further. Receipts seemed to fill up the tin much faster than I had imagined, so I bought one of these cute plastic accordion files from Target (as you can tell, easily one of my favorite stores) and organized it by months. Then, at the end of every month I take out all of the receipts from the tin and put them in their respective file. Super easy. Super organized. One less stress! After doing this one little task, I guarantee you will already feel a small weight being lifted off your shoulders. Don’t get too excited just yet though, we still have a ways to go. 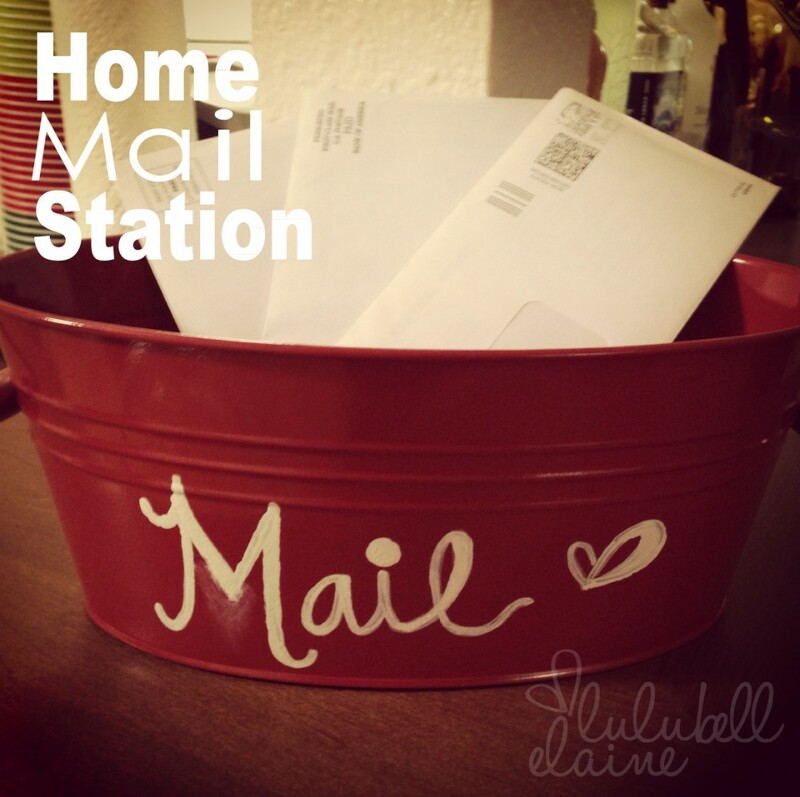 Tune in Monday for Step 2 of Organizing Your Life! This “little” project of mine has been long overdue and I am so absolutely excited to get started and to share with all of you! Please have a look around and make yourself at home. The links on the black navigation banner have yet to be filled, but that’s where we are headed! The green buttons to the left and the buttons below each post are for sharing. My blog will only thrive through word-of-mouth, so please LIKE me on Facebook, FOLLOW me on Pinterest, SUBSCRIBE to my blog feed via email and stay in touch! I love hearing from all of my faithful supporters, so please feel free to comment or shoot me an email at any time. My hope is to help make your life at least a tad bit easier and to spread the joy of creative inspiration to everyone! I really hope you enjoy! I’ll talk to you soon!